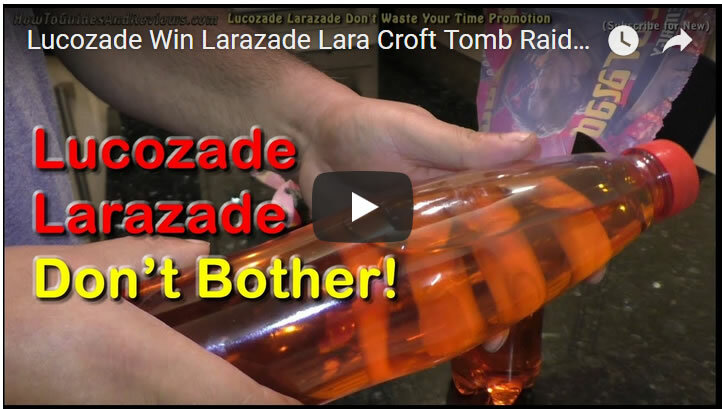 Lucozade Win Larazade Lara Croft Tomb Raider Prizes - Don't Bother! So Larazade looks like another one of the those dud promotions, where customer entry reality does not match the marketing hype, the most infamous of which in recent times was Walkers Crisps "Spell and Go" win a holiday promotion that only ended up awarding about 4% of the prizes advertised! Ensure you are subscribe to our youtube channel for news of NEW promotions, tips and lots of advice to help you win.